Lawyers Group combines the buying power of attorneys all over the country to purchase advertising. We purchase national and local television air time as well as Internet advertising. This marketing strategy gives you the benefits of a national television and online ad campaign for a fraction of the cost of trying to conduct similar marketing campaigns on your own. You may not be able to afford air time for TV commercials if you do it alone. It depends on your local television market and your firm’s marketing budget. The cost of professionally producing and filming your own television commercials can be expensive. It takes time and testing to develop effective creative copy to get the response you want as well as identifying the appropriate programming for your TV ads. Finally, you must negotiate the media time and the costs of running your television commercials. Lawyers Group has market tested scripts and creative for TV commercials. We have been in the legal advertising business since 1983, and have produced thousands of effective television commercials. We know what it takes to get a personal injury victim to pick up the phone and call, and the proven track record to back it up. Our experienced media buying team know where and when to place your television commercials so they are seen by the highest number of personal injury victims. Because of our pooled buying power, our media team can also negotiate the lowest rates. Our expertise will get you more personal injury cases for less money. We advertise on many local TV stations and national TV networks. Click here for a complete list of our TV networks. Lawyers Group’s expertise goes beyond TV commercials. We are actively engaged in online national and local attorney advertising on the Internet on all major search engines such as Google, Yahoo and Bing. Our Pay-Per-Click ads appear on desktop computers, laptops, tablets, and mobile phones. Due to the combined buying power of all our attorney clients, we are now the leader nationwide in mobile Pay-Per-Click advertising on the Internet. No matter how an accident victim may be searching for a personal injury attorney, Lawyers Group’s ads show up in top search results. Due to the limited budget of a single law firm, you may not be able to spend a lot of money on the Pay-Per-Click campaigns. You may be outbid by bigger firms. 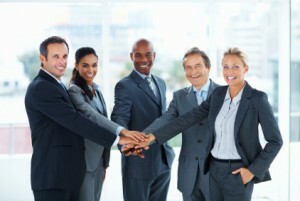 Your law firm can benefit from the experience Lawyers Group has in Internet law firm marketing. Lawyers Group has in-house Internet experts that work on both developing targeted landing pages and running effective Pay-Per-Click campaigns. Our websites and landing pages are designed to generate maximum response from injury victims through online campaigns. Our Internet experts tweak campaigns daily and update the latest search engine changes in rules and algorithms. We constantly refine the copy and design, search keywords, and the bidding to improve search engine optimization – prompting more injury victims to find us using search engines such as Google, Bing, Yahoo, etc. We advertise on Google, Bing and Yahoo. Click here to learn about our Internet Pay-Per-Click Program and see samples of our landing pages.